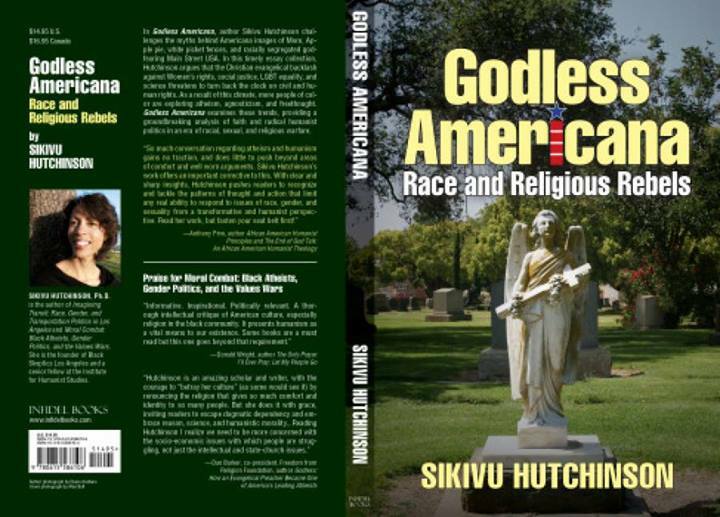 “Godless Americana” is an eye-opening passionate critique of the current socioeconomic struggle faced by people of color. It also exposes the role white Christian nationalism has in vilifying urban communities. It’s a quest for how Humanism can be relevant to such communities. You may not agree with everything Dr. Hutchinson has to offer but we can no longer afford to be uninformed of the circumstances that have negatively and unfairly defined people of color. This revealing and at times uncomfortable 234-page book is composed of the following seven chapters: 1. American Terror, 2. God’s Body, Science’s Brain, 3. Straight to Hell: Christian Fascism and Americana, 4. White Picket Fences, White Innocence, 5. Prayer Warriors and Freethinkers, 6. Seeing Things, and 7. Ungrateful Dead. 1. Well researched, and ardent prose. Dr. Hutchinson has a way with words. 2. Fascinating topic in the hands of a keen observer. 3. Dr. Hutchinson brings it! This is a book of social criticism backed by substantive arguments. 4. Discusses her important role of empowering young women with tools to become critical observers of society. 5. Mentions many books and makes many interesting pop-culture references. 7. Fair and even-handed treatment of religious organizations. “In some instances, faith communities have been far more proactive in creating safe cultural and social spaces for LGBT people of color.” Does a wonderful job of explaining why faith-based organizations are so invested in communities of color. 10. The paradox for African American non-believers. Fascinating stuff! 12. Science and race. “Graves (the first African American to have earned a Ph.D. in evolutionary biology) is in an elite group of internationally-renowned African American scientists who have struggled with entrenched institutional racism in academia.” Also debunks some myths.